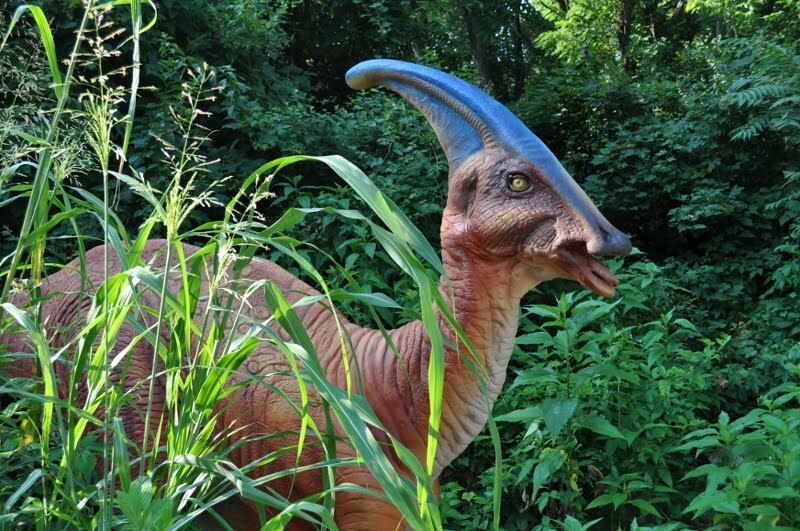 This summer, dinosaurs are making a comeback! 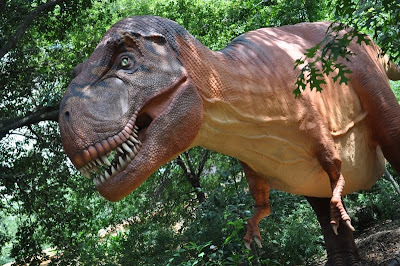 We’ll be opening a limited-engagement exhibit on April 30 that takes you on a journey back in time to discover life-size, animatronic dinosaurs that roar, snarl, hiss, spit and move. There will be 10 dinosaurs representing seven species that once roamed our continent throughout the Cretaceous and Jurassic periods—from a 19-foot-tall herbivore Brachiosaurus to a full-size, fearsome Tyrannosaurus rex. The latest scientific research reveals that these beasts may have been adorned with brilliant colors, scales and fins. We’re having a lot of fun working with the dino creators, Billings Productions, Inc., to reflect that in the look we’re giving our dinos. Here’s a sneak peek at the creative coloration we’re giving the juvenile Styracosaurus—does it remind you of the colors of a certain zoo animal when it is young? Dinos ruled for millions of years and this exhibit will explore the fascinating adaptations and behaviors that helped them thrive. But the well-known, massive die-off of the dinosaurs helps to shine a light on the extinction crisis many other species are facing today. 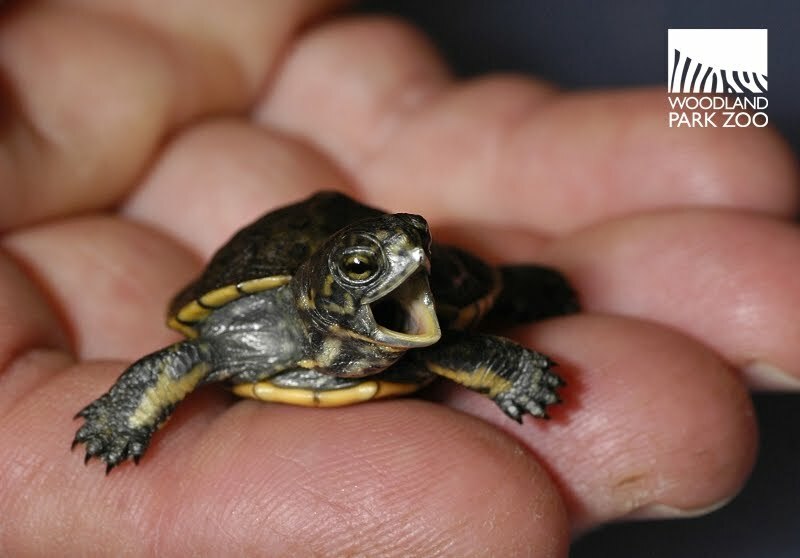 Take turtles. Turtles have been around even longer than dinosaurs—220 million years—and survived the massive extinction that wiped out the dinos. Yet these ancient survivors are facing their own extinction crisis today with almost 50% of known turtle species listed as “Threatened.” In fact, this incredibly diverse group of animals is going extinct faster than any other group of terrestrial vertebrates. While it’s too late for dinosaurs, Woodland Park Zoo is playing an active role in saving turtles. The exhibit and its related programming will draw this and other connections to animals at the zoo throughout the run of the exhibit, April 30 – September 5. There is a $3 fee for the exhibit and you’ll get free re-entry to the exhibit for the full day that you purchase your entry. We’re still prepping our dinosaurs, planting up the space to evoke a primeval forest, and working on some exciting programs, so we’ll keep you up to date as we progress towards the opening! Photos: Dino images courtesy of Billings Productions, Inc. Tapir by Dennis Dow/Woodland Park Zoo. Western pond turtle by Ryan Hawk/Woodland Park Zoo. The survival rate of baby turtles is itself low. With humans' capturing, it becomes even lower. I hope they can survive this hard time. I has been enjoying the turtles and now am expecting the dinosaurs! There should be a members only day for this exhibit. Hi anon--We hear you. 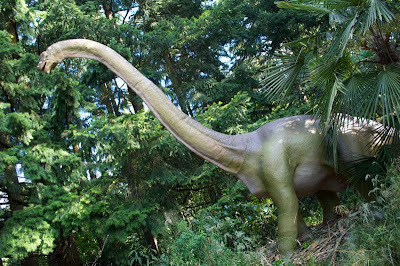 We're planning a members only night at the Dinosaurs exhibit as part of our Zoofari member appreciation event on June 7. Zoofari is moving to a nighttime event, giving members an exclusive after hours zoo experience. There will still be an extra fee for the dino exhibit that night, but only members will have access.